So far, my favorite, too. 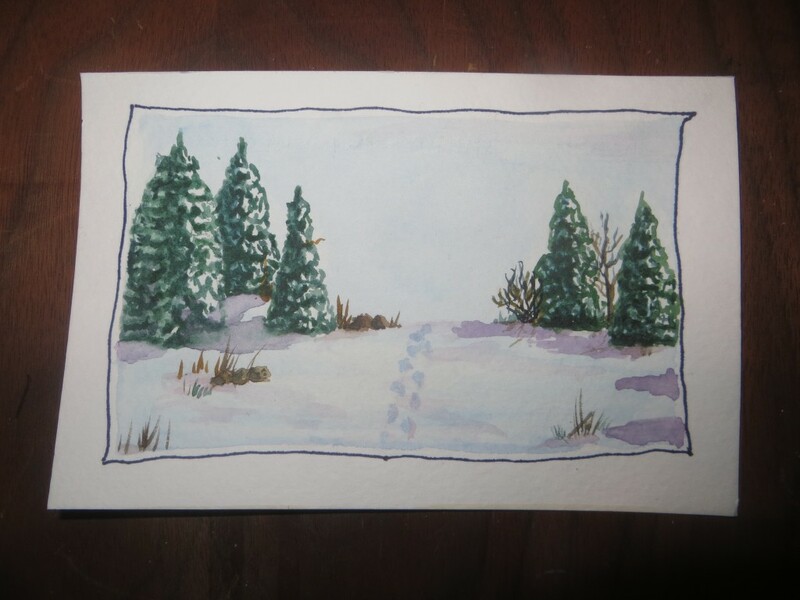 I’d like to see one just like this with another set of footprints in the snow (doggie ones) right next to these – add a cowboy and his dog, or a kid and his dog. Nice snow scene and peaceful. So far, my favorite is the one with the brush. You sure are an amazing talent Carol. How long does it take you to do one postcard? ?